Geoff has had an extensive career in Energy Utilities, Manufacturing, Engineering Management and Higher Education. His career spans National and International business at the most senior levels of the Electrical Power Industry and Manufacturing and he is regarded highly as a Senior Member of Governance Boards in the Higher Education Sector. 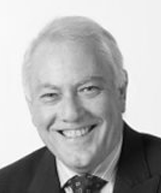 Geoff has significant experience as a non-executive director and Chair in a variety of organisations in both the private and public sectors. Geoff was Managing Director and CEO of a large multinational technology manufacturer, supplying highly sophisticated equipment to the Utility and Mining industries. He was appointed to the State Executive and then National Council of the Australian Industry Group and was a member of the Advanced Manufacturing Group of CEOs. Previously Geoff was Executive General Manager of Energy Australia responsible for the largest Electricity Supply Network in Australia. Concurrently he was Chief Engineer of that organisation. Prior to that he directed the Customer Service business supplying energy to 1.5 million customers. During this time he led the successful bid for the $100m Smart Grid Smart City project and is a recognised leader in the smart grid field. Geoff holds an MBA (Merit), Bachelor of Engineering (Hons) and Conjoint Professorship in the Faculty of Engineering at the University of Newcastle, and is a member of the University Council, Chairs the Strategic Development Committee of the Board. He is the recipient of a number of awards including being recognised as one of Australia’s top 100 most influential Engineers in 2013 and 2014 and receipt of the Professional Engineer of the year award in 2012. He was recently awarded the grade of Honorary Fellow from the Institution of Engineers Australia.